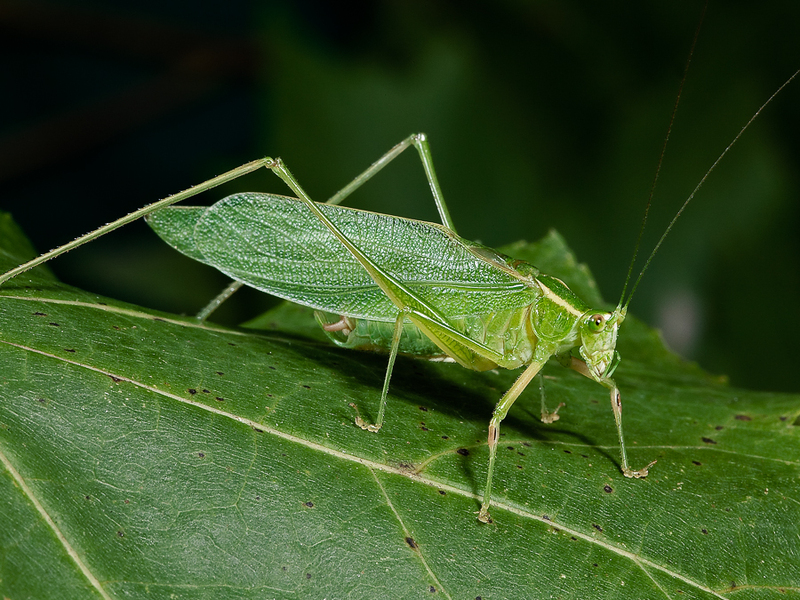 Song of a Northern Bush Katydid (scroll down for explanation and additional recordings!). The first of the Scudderia katydids to sing during the summer, the Northern Bush Katydid prefers the tops of small trees or shrubs in open habitats or open woods. Difficult to capture because they are too high up, they are attracted to lights and may sometimes be collected near porch lights or on window screens at night. When found, there may be a large number of males gathered in one location. Their combined singing creates a very pleasing sound. Song: The most accomplished singer of the bush katydids. The very high pitched song, given only at night, is a series of soft ticks followed by about 5–10 lispy buzzes that are given in quick succession and are usually followed by a series of very loud ticks. 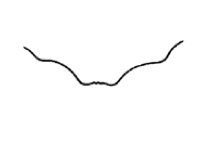 The dominant frequency of the buzzes is about 12–15 kHz. 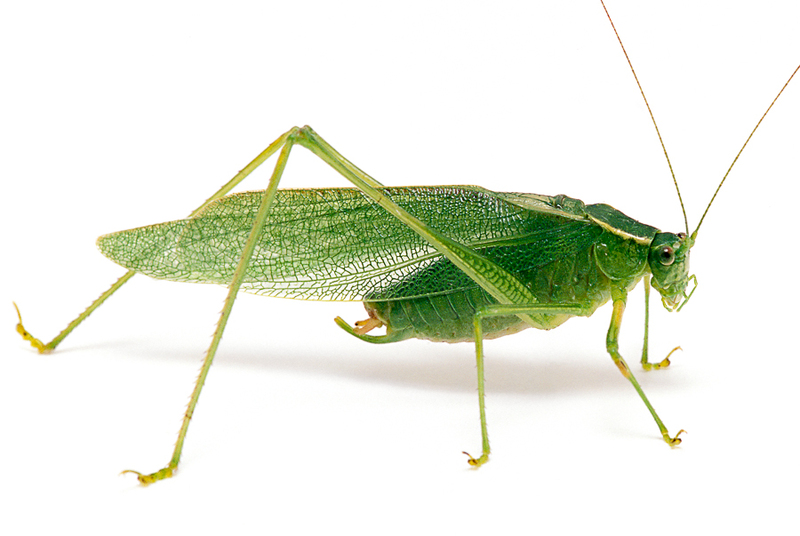 Sonogram of a Northern Bush Katydid. © Wil Hershberger.